Are One Parent Families the Undeserving Poor? 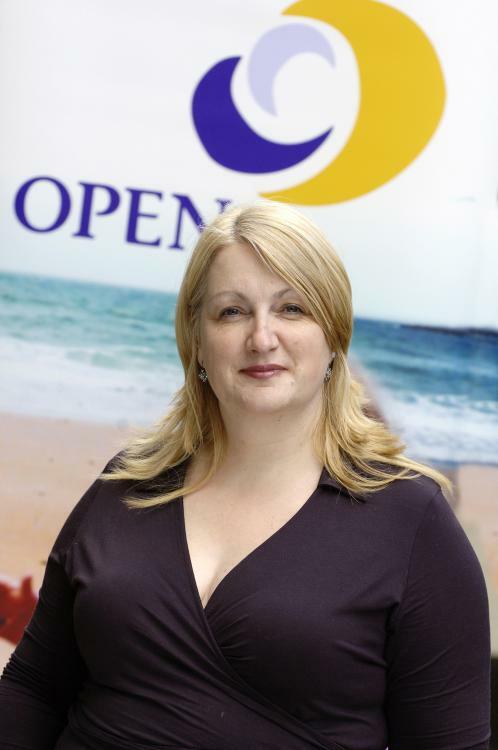 Frances Byrne is CEO of OPEN. A former board member of the European Anti-poverty Network (Ireland) and past Deputy Chairwoman of the National Women’s Council of Ireland, Frances has worked in OPEN since 1999 and has represented one-parent families in national and international fora. In the 1990s she worked for a local partnership company and one of OPEN’s local lone parent groups. Prior to that Frances worked at an NGO in San Francisco which advocated for residents of nursing homes. A very affable and well-qualified researcher was at pains to point out to OPEN recently that yet more figures showing the poverty of one-parent families in fact reflect the relative position of those families measured against those with two parents. They (the numbers) needed to be understood in terms of the importance of the presence (or absence) of a second breadwinner. In other words, “Your people will always be behind everyone else in income terms and your organisation needs to lobby for proper, public services to help redress the balance.” On the face of it, advice which OPEN could/should accept, however the picture about our families is far more complex and has to be seen through a peculiarly Irish lens. A sweep through the history of the income support payments to our families is one which is fraught with reminders of ‘the way we were’ as a society – the Deserted Wives Benefit, the Prisoner’s Wives Allowance, the Unmarried Mothers Allowance were all designed to meet specific needs, undoubtedly by a caring system attempting to respond appropriately to observable poverty. Their titles served to identify their recipient’s circumstances and to reinforce the economic dependence of women on men. The payments were eventually amalgamated into the Lone Parents Allowance in 1990 and then re-branded and reformed as the One-parent Family Payment (OFP) in 1997. The payment is neither gender-specific nor revealing of the personal history of the claimant and is also paid to widows and widowers with dependent children. It is important to note though that there has remained the concept of ‘an adult dependent’ in Jobseekers payments. The Department proposed further reforms to the OFP in 2006 and these have been painfully slow in getting implemented and have been themselves subject to change. For example the ‘Brennan proposals’ recommended the introduction of a Parental Allowance for all low income families, regardless of marital status of parent(s); this has now been abandoned by government, for economic reasons, although it was favoured by the current Oireachtas Committee on Social Protection in its most recent report. As things stand from April of 2011 until 2016 the Department will phase in an age limit (14 years) for the youngest child for those eligible for the OFP. Although the late Minister Brennan included all parents, no matter what their relationship or marital status, Minister Hanafin, followed by the current Minister introduced a caveat: the new system will apply to all new claimants from next year except those who have been bereaved, who will continue to be eligible if their youngest child is older than 14 but not over 18. OPEN was informed that this was an act of compassion. Indeed it was originally intended to include only those who had been previously married. Ultimately in the Bill which passed this summer it was extended to unmarried partners too. It is important to point out that this was not requested by any NGO working on these issues. The decision to extend compassion to the bereaved but not to those whose partner had been imprisoned, who had separated or who had been deserted was not on foot of intense lobbying. It was put in place simply to bring meaning to a view about deserving and undeserving families within the Department, we assume? Views like these are not confined to government departments. Mike Soden, formerly of the Bank of Ireland, now of the Central Bank Commission decided for reasons which are not clear to call repeatedly in media interviews for the abolition of social welfare payments to unmarried lone parents. Mr. Soden presented his case without once using accurate facts and figures or on any occasion actually explaining how or where he received the expertise, wisdom or indeed the mandate to make such pronouncements. OPEN, and others, have been at pains to communicate for years the true picture about one-parent families, all of our families. It is complex but the facts are readily available from the Department of Social Protection, the Central Statistics Office, the Office of the Minister for Children & Young People and others. For example: less than 3% of those on social welfare are aged under 20; 59% of unmarried lone parents were in a committed relationship/co-habiting during their pregnancy; 58% of us have just one child and I could go on. What seems to be at the core of the Department’s ‘compassion clause’ and perhaps inside the mind of the former banker is the notion of ‘choice’; that somehow if you choose lone parenthood, you are not blameless, so why should you receive state support? If we follow this logic, then lots of people who set up home with someone they had doubts about, who then have children should not receive any or as much income support as others. Is this really what we want? A social welfare system that interferes in people’s lives to satisfy itself in some vague, moral sense that the recipient’s family deserves support? In our capitalist society we want a nanny state for some people then? Returning to the friendly researcher’s advice about services; undoubtedly, as has been shown in countries where child poverty rates are low, the correct policy mix must include income supports and public services which are of high quality and universally available and availed of. In Ireland we have however gone down a different road in terms of income support and therefore we have a system which has developed from the notion of a male breadwinner, and from that fall all kinds of anomalies and implicit notions of dependence and entitlement, or lack of. Hand in hand we have not seen the proper public provision of services like early education & childcare as has been the case in other European countries, while here we favoured private service provision in the context of a low tax economy. Late in the Celtic Tiger era, there were some efforts to fund community childcare, on which poorer families now rely heavily in our most disadvantaged areas with little or no middle class families using them – this is NOT the Nordic model! This means that in our current context as both income and services get squeezed, the poorest families will suffer the brunt of what lies ahead. OPEN’s concern is that we have already seen attempts in policy provision and in public discourse (on the shows on which Mr. Soden appeared, he received many supportive e-mails and texts) to divide the poor and those who rely on state supports from each other as well as from the beleaguered ‘tax payer’. This is almost bound to worsen as the budget date nears. For the record everyone who pays an electricity, phone or gas bill is a tax payer. As for PAYE, as the official statistics show, more than half of lone parents receive no weekly social welfare payment and of those who do, more than half work outside the home – evidence of a high motivation to move families out of poverty and to contribute to our society. The most important statistic about our families which should inform policy development as well as public debate is this: 65% of child poverty in the Republic of Ireland is in one-parent families. These are the children who should not be forgotten when decisions are made about our country’s finances. These families do not deserve judgement or warrant blame because they are led by a lone parent, (previously married or not) or a poor parent, or a badly educated parent. These families need support and solidarity, especially during an economic crisis.